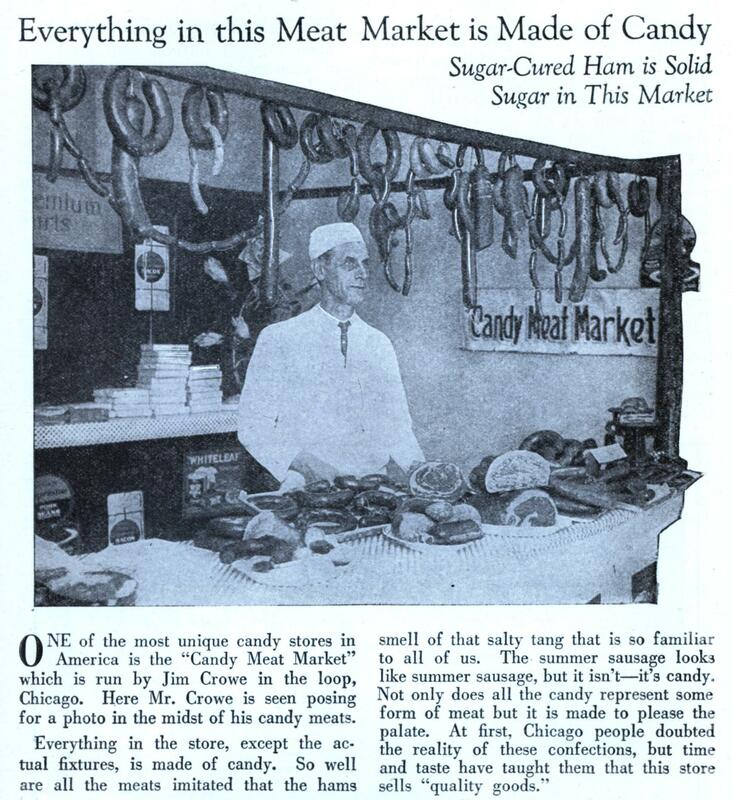 ONE of the most unique candy stores in America is the “Candy Meat Market” which is run by Jim Crowe in the loop, Chicago. Here Mr. Crowe is seen posing for a photo in the midst of his candy meats. The only comment that comes to mind is: Why would anyone want candy that looks like meat? Ah “that salty tang that is so familiar to all of us.” I’d buy it. What an unfortunately named man. That’s like being named Apartheid Jones.